C’mon,Before we look at the “New Ibiza” lets look at where it came from. Remember your first Spanish package holiday? Well chances are, if you hired a car, it was going to have been a SEAT. Whilst it wasn’t wonderful, it just didn’t matter as you were only going to have it for a week or two, it wasn’t something you had to live with and you didn’t have to impress your friends and neighbours either. As long as it got you to the beach and back it was OK. Since the 50’s when SEAT (then a subsidiary of FIAT) began producing rebadged Fiats in Spain, through to 1981 when Fiat pulled out of SEAT, the cars they made were pretty awful. Remember the SEAT Panda (later restyled as Marbella) the inspirationally named SEAT 600 (based on the Fiat 600). However, SEAT for the Spanish, was in many cases the first car they had ever owned and became a symbol of Spanish pride and the Spanish miracle which was to follow. I wonder if you’ve ever though what SEAT means, as for us in the UK, it’s somewhere to sit, its a chair “pretty much”, but in Spain, the acronym stood for “Sociedad Española de Automóviles de Turismo (Spanish Corporation of Private Cars) and long time Spanish President, General Francisco Franco was instrumental in ensuring the Spanish Government had a big chunk of the company when it was formed in 1950. SEAT is a young company compared to say Ford, it’s never the less, almost 60 years old now. In that 60 years though, there have been many changes and the first major one was in 1981 when the Italians packed there bags, put their tanks in reverse and headed away leaving SEAT as an independent company. However, at the same time, the Volkswagen Group (VAG) signed a cooperation agreement with SEAT, going on to become a major shareholder in 1986 then taking ownership of the car company totally in 1990 and from there on, SEAT has grown into the car company you see today. Currently, SEAT’s production plant in Martorell (just outside Barcelona) is one of the newest in Europe, producing more than 450,000 cars a year. It’s got sales and distribution outlets in more than 50 countries and employs more than 15,000 people and has mighty ambitions, looking towards selling 800,000 cars a year by 2015 and bringing the model range up to 16 different vehicles. I guess at this point, its probably worth saying that because of Volkswagens involvement in SEAT product, you probably cant go wrong in buying one and whilst the cars design and model range are chosen by SEAT, as you can imagine, its heavily controlled by VW and the cars are built raiding much of VW’s parts bin. This time round, the “New Ibiza” got first crack at some of VW’s innovative technology and that includes the all-new “agile chassis” which will also find its way into the next VW Polo and Audi’s new baby car and next generation Skoda Fabia. Design wise, well not that you would know by looking at it, but its penned by a design team headed up by Luc Donckerwolke, who worked for Lamborghini (also VW owned) and in fact it was Mr Donckerwolke that shaped the Lamborghini Gallardo. The “New Ibiza” is his first design for SEAT, and they say it signals a new design direction with much sharper edges and generally a more architectural look about it. The car is available in a practical 5dr version, but also a much prettier (but less practical) 3dr hatch dubbed the “SportCoupe” which is indeed a very good looking car. Inside the new car, its simple, its modern and the materials used are of a decent quality and whilst our car which was a 1.4 SE, came with stacks of toys for a car of its style, including electric windows all round, electric mirrors, MP3 audio with USB connection, rain sensing wipers, bi-xenon steering lights and even cruise control, I did think it was maybe a touch too plain and a touch too simple, but I can understand the attraction of that to some buyers, but for me, I was bored with it after a few days, I want to say to myself “that’s nice” every time I get in and I didn’t find that happening. That said, SEAT is considered to be the “value” brand within VAG, so I suppose there has to be some differentiation between this and it’s more expensive and more luxurious cousins. Using the car, yes what can you say, it behaved fine in every way, it was quiet, comfortable, the 5 speed gearbox was nice, vision out of the car was good and it was surprisingly quick for a 1.4 and I suppose it’s exactly what you would expect from a product so closely associated with Volkswagen. Handling was pretty neutral and in the dry, you could drive it “enthusiastically” as it had more than enough grip to take you where you pointed it and to be honest, it was quite fun. Steering was accurate and precise and there really wasn’t much body roll either. Whilst I understand this isn’t a sports car, SEAT sells themselves as the “sporty” franchise of the VAG Group and that’s supported by the race, rally & touring car programme showcasing their products, so it’s only right we looked at the car in different ways. The cars designers are keen to emphasise the Ibiza’s quality and there is no doubt that it looks well put together with accurate and tight panel gaps and the whole car feels as if it is well built and would stay that way and that’s important if you are going to have this car for some years and its important because it will gain reputation because of this and you’re going to get more money for it when you eventually sell it. The “New Ibiza” starts at a touch under £9000 and we think, its got to be on your list if you are looking for what’s called a “supermini” but I say on your list, because that market is crowded with good cars and that’s going to be a pretty big list in what’s arguably the most competitive sector. All in all, we liked the “New Ibiza” we felt it was an attractive well built car with a fantastic pedigree and it offered “big car” specification for small car money. 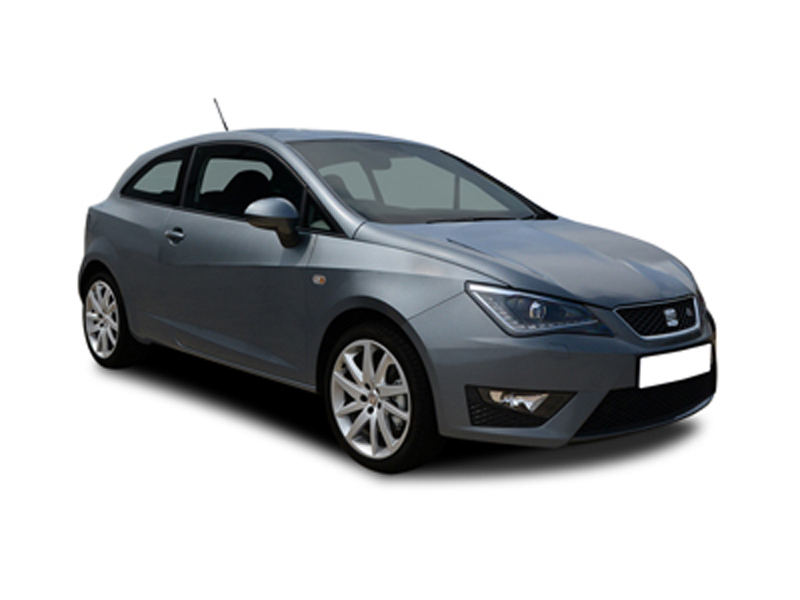 We tested it for a week in various conditions and it never put a foot wrong, or gave us reason for concern, so if you are in the market for a car of this style, we think the “New Ibiza” will deliver all you need. We started this article talking about SEAT’s Spanish roots and I would ask you not to pass this car over, because you drove some awful thing 20 years ago while on holiday, as you just may well love this car and if you do, well, it’s going to bring some Spanish sun into your life 365 days a year. For a quotation on any car in the SEAT range, please contact us.